A reliable source for Industrial Dust Collectors information and a resource for accessing leading Industrial Dust Collectors and suppliers. Industrial Dust Collectors Industrial dust collectors are devices used to minimize the presence of various pollutants in order to maintain a high standard of clean air in workshops, plants, manufacturing facilities or any commercial or industrial space. Because of the potential hazards to worker health as well as other concerns related to air quality, regulatory and insurance agencies sometimes require that dust collectors be used to maintain healthy work environments. Some regulations even require certain degrees of soundproofing be installed around these commonly loud machines to further protect workers. The employees are not the only beneficiaries of dust collection as these devices improve productivity and equipment longevity. Even seemingly innocuous amounts of dust and debris can easily become trapped in motors and other equipment causing damage and, if allowed to accumulate, failure. In removing environmental dust or dust created as a byproduct of manufacturing, dust collectors also provide the possibility of recycling or reusing sometimes valuable dust. Metalworking applications often employ dust collectors to recover valuable titanium and other exotic metal dusts for a substantial cost savings. 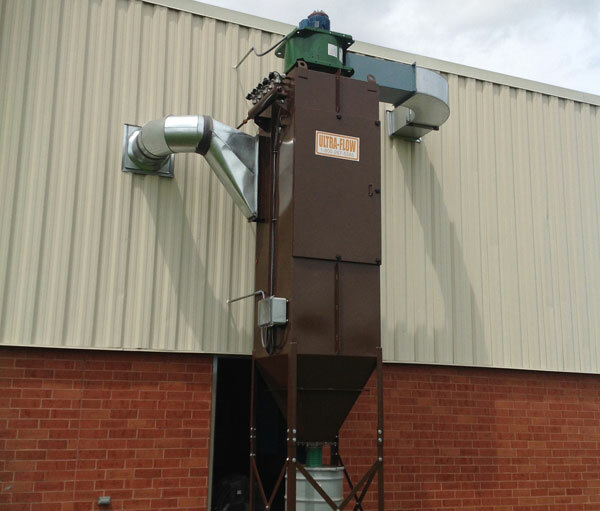 The many benefits of industrial dust collectors are reflected in their use in a broad array of industries including food processing, metallurgical processing, aerospace, electronics, woodworking and medical. In general, dust collecting systems consist of a blower, dust filter, filter cleaning system, dust receptacle and dust removal system. Every industrial device will employ electrostatic precipitation, media filtration, inertia separation, air washing or any combination of these techniques to remove impurities from the workplace. The five most commonly used dust collectors are inertial separators, fabric filters, wet scrubbers, electrostatic precipitators and unit collectors, each offering different methods for specific needs. 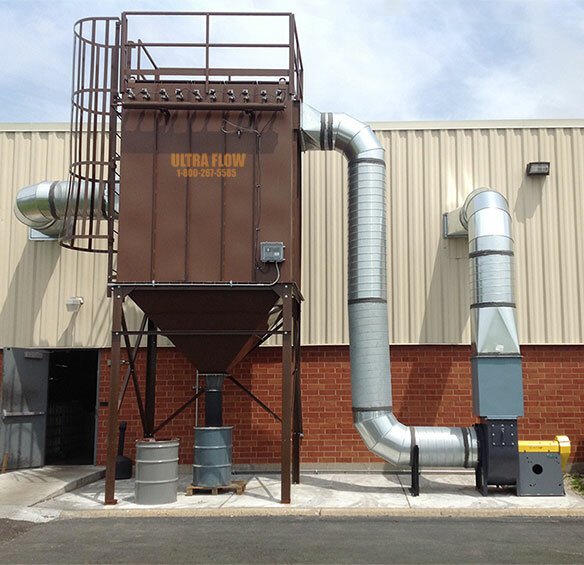 There are many considerations when selecting an industrial dust collector. Dust types can vary greatly to include hygroscopic, soluble in water, sticky, hazardous and explosive dust. Industries that produce fire hazardous dust such as aluminum and titanium often must use wet dust collectors as dry processes heighten the potential dangers of these flammable byproducts. Polypropylene construction is useful for corrosive dusts in low heat environments while stainless steel construction is used in most other applications. Not only dust type, but particle shape must also be considered. System capacity, micron size, space and maintenance are further considerations for industrial dust collector selection.